If you would like to become a Flying Trapeze Coach you might be interested in enrolling in our Flying Trapeze Coaching Course. 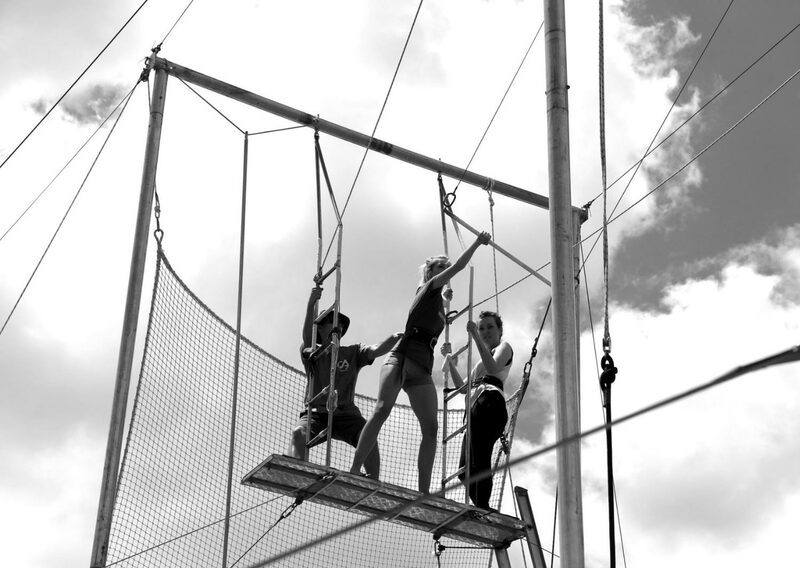 It is a unique course that will teach you all the skills necessary to become a Flying Trapeze Coach. The course is run at Circus Arts Byron Bay and consists of two stages STAGE 1 and STAGE 2. Circus Arts is always on the look out for experienced flying trapeze and circus coaches for all our locations nationally. The right candidate will be trained in all aspects of running a flying trapeze rig and will possess medium to high level flying trapeze skills. You will also have experience in teaching a wide range of basic circus skills and enjoy sharing your love of circus with people of all ages and abilities. We are looking for an excellent communicator who can give participants a fun and memorable experience whilst ensuring they feel safe and secure at all times. Competent administration skills will also be looked upon favourably. This is a casual weekend position, increasing to weekdays during school holiday periods. For expressions of interest please fill in the application form below.